The 2017 Québec Science Discovery of the Year People’s Choice Award was granted to Kevin Petrecca and Frédéric Leblond for their development of a cancer-detection probe. Their remarkable discovery received approximately one-third of the total votes cast! Learn more about the awards and the award-winning probe. 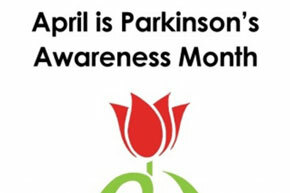 April is Parkinson’s Awareness Month, a great time to highlight this shattering disease affecting 100,000 Canadians. As a centre for both research and clinical treatment of Parkinson’s disease (PD), The Neuro offers PD patients specialized services and unique opportunities to participate in research. Learn more about PD work at The Neuro.